Written by Ian O’Brien of Lancashire’s Big Bathroom Shop – Find him on Twitter @iobm6. ‘Whether cut throat of safety razor, barber’s chair or kitchen sink, there was a time when shaving meant more than simply managing stubble. It was a process that took time, patience and no small amount of skill. Those who left it late on a Friday were easy to spot, down the pub or Pally. Random bits of tabloid news, scattered from cheek to chin, were a dead giveaway. It wasn’t a job to be rushed. Not if you hoped to wake in the morning with lipstick on your collar. In the days when toilets were at the bottom of the yard and television sets had buttons, shaving was a ritual, not an afterthought. Then came foam in pressurised cans, then single use razors in plastic bags. The fast food equivalent of looking good had arrived: Welcome to the McShave. Television ads featured men with Yale chins, striding out of shot and away to some implicitly fantastic future. The days of chrome handled, double edged safety razors were all but numbered. Style, panache, patience; all swept away by the promise of a quick shave and romance sure to follow. Over the last few years and with beards back en vogue, the humble razor of dads-gone-by is again making a splash. But before you rush off to buy antique Gillette’s from eBay, wait a moment, for there’s much more to shaving than meets the eye. We asked Ian O’Brien, writer and bearded blogger with Lancashire’s Big Bathroom Shop, to give us the lowdown on using a safety razor…in the safest possible manner. So, whether man or woman; head, neck or legs, if you want to take personal grooming to the next level, then read on. There are lots of good reasons to choose a safety razor, over the more modern equivalents. 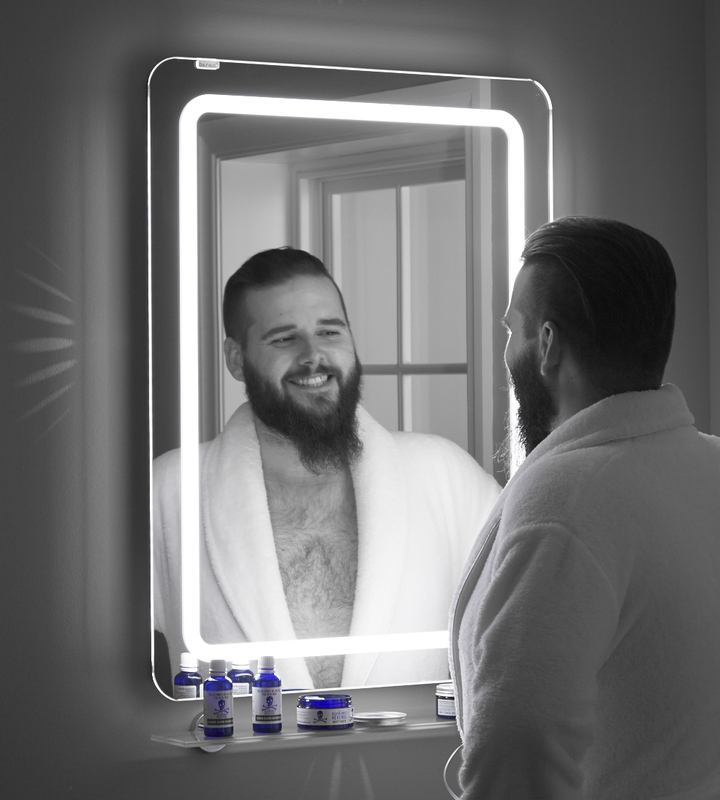 Apart from the aesthetic value of what is, without doubt, a design classic (a splash of chrome atop a pure white basin is a look that never gets old) there are myriad reasons to consider shaving in the manner of our forefathers. It’s not for nothing that more than 100 years after the American Razor Company first introduced disposable blades; safety razors are still widely in use. Nor that they adhere, almost exactly, to the original design, with only one or two minor tweaks here and there. In recent years we’ve seen an explosion of traditional shaving products, from companies like The Bluebeards Revenge, The Shave Shack, The Executive Shaving Company and many more. All of which carry an alchemistic array of exotic beard oils, razors, brushes, high end soaps and other associated paraphernalia. 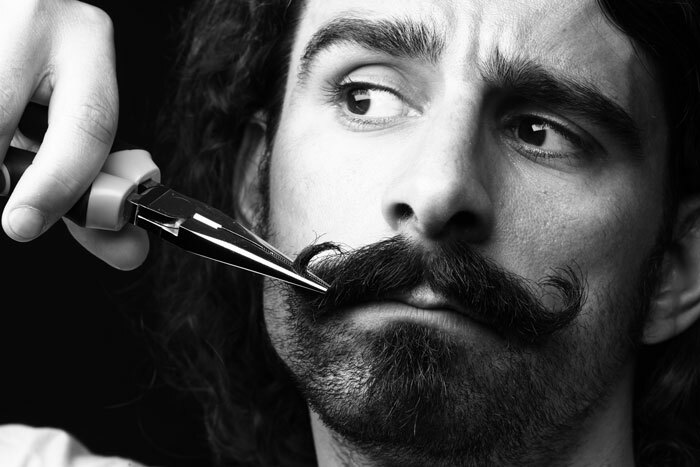 Previously a chore, the holy act of shaving is being subtly redefined. 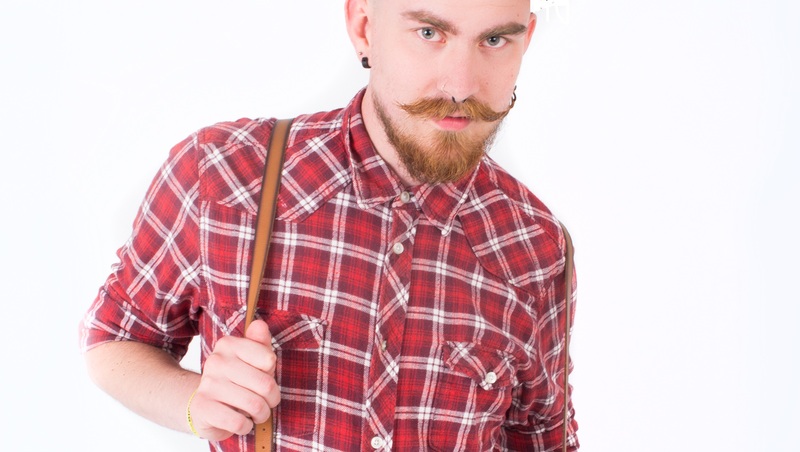 It is fast becoming the affordable luxury of choice for metrosexual millennial man. And it’s less about the equipment used than it is the time taken. It’s about closing the bathroom door, safe in the knowledge that if a job’s worth doing, it’s worth doing right. Serious wet shavers can easily spend an hour or more, including preparation, sculpting lines and layering lather in pursuit of the perfect finish. And while the initial outlay can be daunting, with prices from £20 for a German made Merkur 33C, to upwards of £100 for the Jack Black Double Edge, you’ll be surprised how quickly the benefits rack up. To save a bit of money, you can buy a ten pack of platinum blades for just a few pounds on ebay. With an eight pack of Mach 3 cartridges selling on Amazon for £11.98, it’s easy to see how a decent safety razor could prove to be a sound financial decision. But it’s not all about cost. Shaving with a blade is actually much better for the skin, something the TV ads forgot to mention. This is because cartridges, with three or four blades grouped together; don’t so much cut the hair, as beat it into submission. 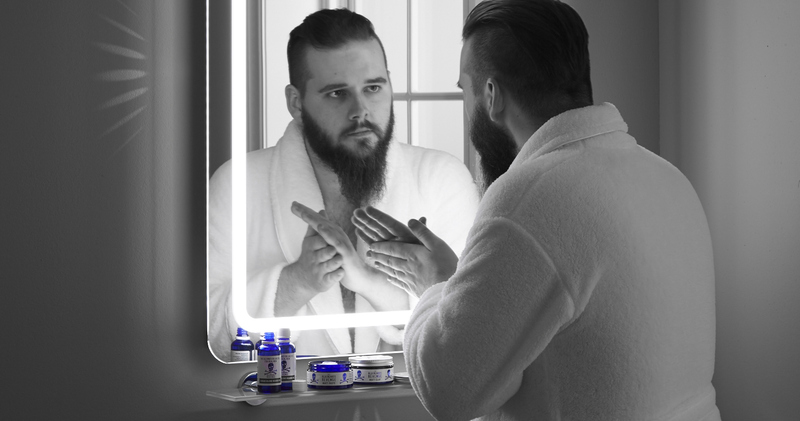 Wet shave expert, Nick Gibbons of The Bluebeards Revenge, said: “The first blade is usually blunt. It serves only to yank the hair upward, rather than cut it. Little wonder then that what often begins as a cost cutting exercise, soon becomes an integral part of the daily body care regime. As men in particular become ever more concerned with personal presentation, it’s hardly surprising that the venerable safety razor has made such an impact on an entirely new generation. If you want a closer, healthier and less costly shave, then this is the way to go. Before you begin, of course, you’ll need to pick up a couple of things. At the very least you need a razor, a shaving brush and soap. You can even buy a specially designed lather dish, but I prefer the more traditional chipped mug with missing handle. While a good quality lather, such Mr Taylors of Old Bond Street, is expensive when compared to supermarket soap (around £10.00 for 150 grams) it is quite concentrated and not something you will buy every week. As for a shaving brush, there are different types available and much depends upon personal choice. I prefer badger hair but you may want to go with a manmade fibre. Whatever you decide, I wouldn’t advise spending less than £20 on a brush. Below that and you will probably find yourself replacing it within weeks. If you really want to push the boat out, you could easily spend upward of £200 on a high end brush. The Marfin Number 164, for example, is part of a limited collection from Italian artisan brush maker, Marco Finardi; so high end is this that it comes with a certificate of authenticity. However, as most people start wet shaving to cut costs, this is probably something to put on your Christmas list. Last, but by no means least, you will need a good razor. Luckily there’s no lack of choice and most manufacturers also produce a range with women in mind, meaning partners aren’t excluded. The Merkur Long Handled Safety Razor is a perfect example. Designed for daintier fingers the longer handle provides a little extra reach when stretching to shave the calves. For men, however, a good first is the aforementioned Merkur 33C. Chrome plated, the 33C is a lighter version of the iconic 34C and is designed with the novice in mind. Less weight is important when starting out, as it’s generally accepted that the weight of the razor should do the work, rather than applying external pressure. Simply allow it to rest upon the skin at an approximate 30 degree angle, and then let the blade do the rest. Follow the direction of the hair and, in no time at all, your confidence will grow like moustaches in Movember. Don’t think, however, that your first razor is one you will outgrow. Razors like the Merkur 33C and Muhle R89 DE, while optimised for the beginner, are each excellent in their own right and built to last a lifetime. 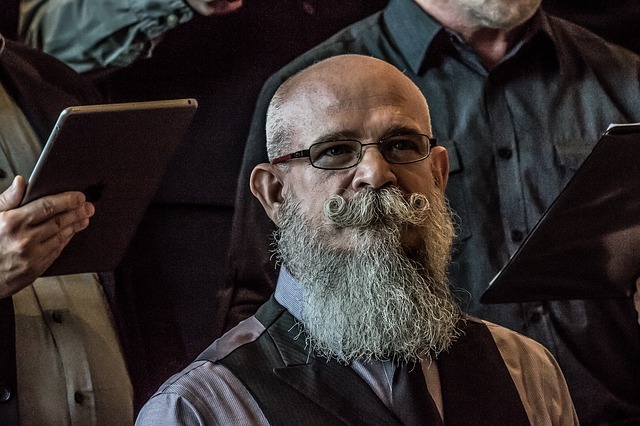 For bearded head shavers, like myself, you may want a slightly heavier chassis for the head, while retaining the lighter model for beard shaping and neck shaving. Others prefer to use keep at least two razors, loaded with a specific blades, for the first and second “pass”. Again, wet shaving with a safety razor isn’t something to be rushed, so you should make time for a first pass, and then a second pass for close up work. I prefer a less aggressive “Astra” blade on the first pass and a Japanese Feather blade on the second. This provides a shave almost as close as a straight razor, but without a visit to the barber. Whatever the case and however your personal routine develops, be prepared to take a little extra time when getting ready for a big night out. Don’t be the guy with bits of newspaper all over your head and neck! “The key is most definitely preparation,” says Nick. “The hair, whether head, neck or chin, must be softened before you start. “This can be achieved in a number of ways, using either a hot towel or simply by shaving after a bath or shower. “A favourite trick of mine is to take a spot of soap and smear it into my shaving mug prior to bathing. “Lather the soap with your brush and put it into the bathroom basin, with an inch or two of piping hot water. “By the time you’re ready to shave you’ll have a luxuriously hot and creamy lather to work with. Finally, it is advisable for new recruits to spend a few weeks using a standard, unassuming Gillette blade. You can pick these up at any leading supermarket. 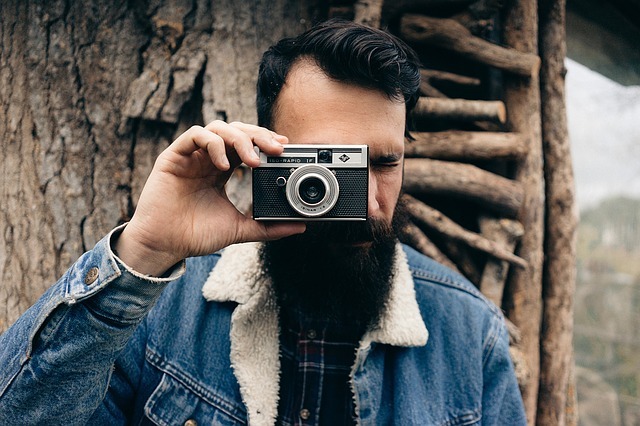 You may still get the occasional tiny cut – especially when head shaving – but it’s unlikely you will do any lasting damage. When you feel confident with the Gillette’s, try something a little more refined – for me it was the Astra – before graduating to a Feather; known as the “ninja” among aficionados. Bear in mind that much depends upon the type and thickness of your hair. The Feather may too aggressive, or the Astra too mild. You will only learn the secret of the perfect wet shave over time. When that day comes you will no longer use a Ninja to shave. You are a Ninja shaver! People will nod respectfully to you in the street and large men will shuffle aside in deference, without quite knowing why. You will exude a certain indefinable something that the average Bic jockey, with his shaving rash and vacant expression, could never hope to understand.